Remember how I said I love when my friends come to me with requests to make things I’d never make for myself? This is another one of those projects! I loved the idea, and it went together really easily, and it turned out so cute! Her kids are going to start preschool and they go for more than 3 hours (not gonna lie, I’m a little jealous!) 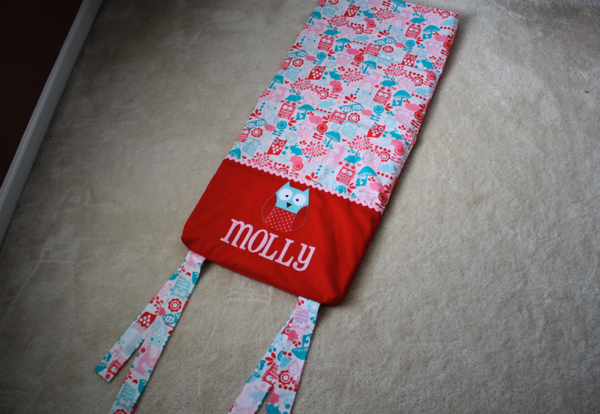 so she wanted me to make a nap mat cover for her daughter. She picked out the fabric, showed me her daughter’s backpack for inspiration, and left the rest up to me. Sofie loved helping me demonstrate the uses of this project! 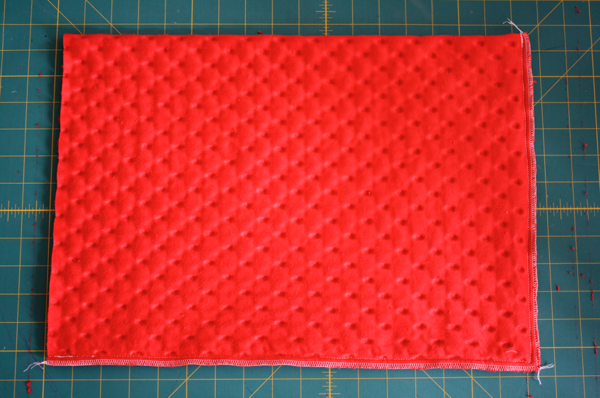 A velcro closure across the back keeps the cover in place while allowing easy removal for washing. 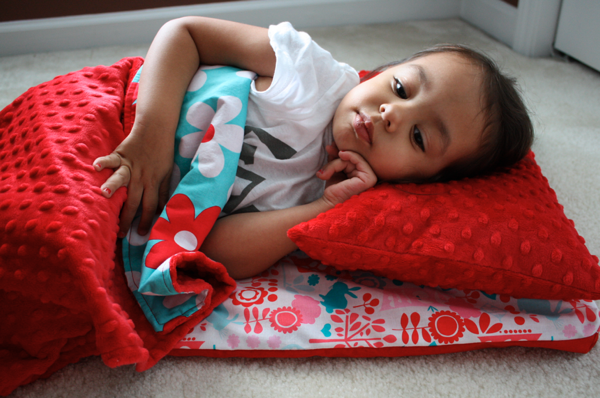 The straps go around the folded mat, and secure the pillow and blanket to the other side, making sure all the pieces stay together when not in use. This looks like a complicated thing to make, but aside from the applique, it’s really nothing but a lot of straight lines! 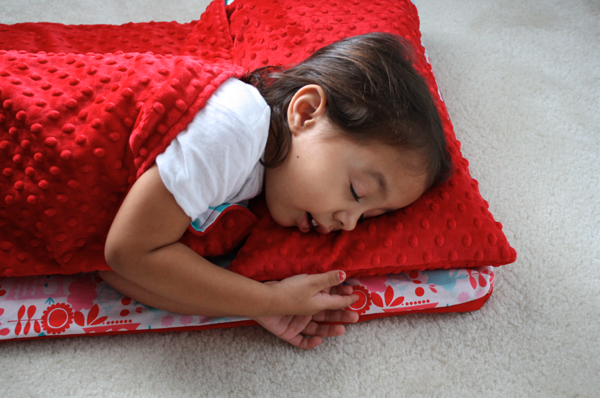 This particular nap mat is called a KinderMat and I found it at Walmart for under $10 (I think it was $7 or $8). It looks just like this one, but it’s 1″ thick instead of 2″. It is 19″ wide and 44″ long. 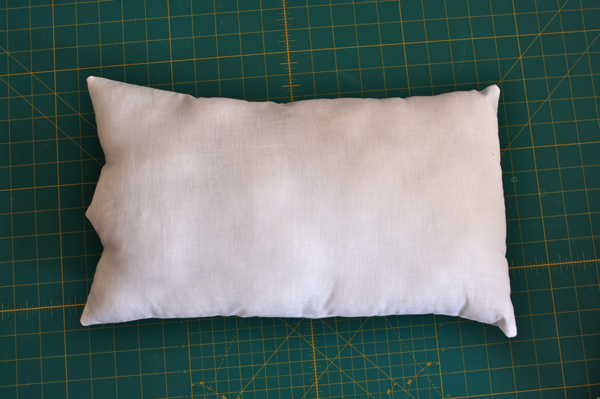 I started by making the pillow. 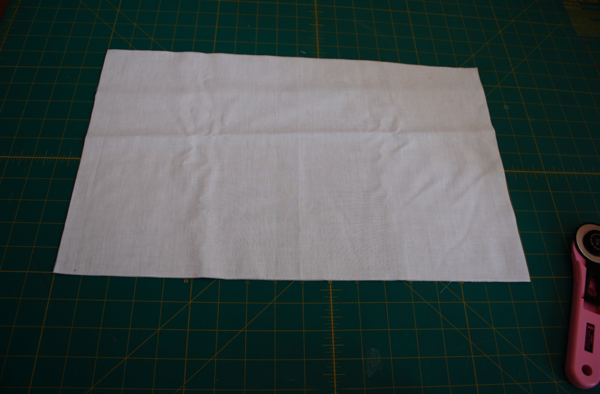 I used 2 pieces of white Kona cotton cut 11″ by 18″. 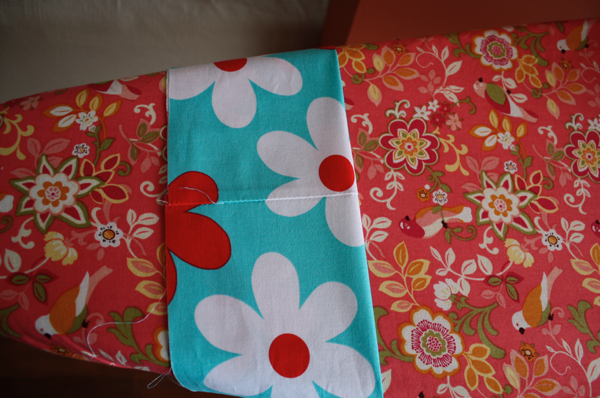 I sewed them together with a 1/4″ seam allowance, left a hole to turn, and stuffed it. 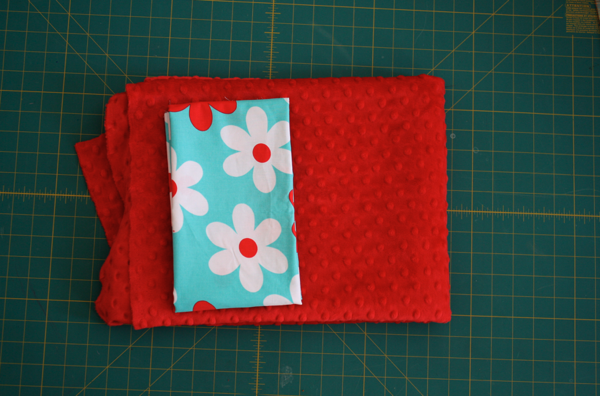 Fold the fabric in half and sew across the 8.5″ end. 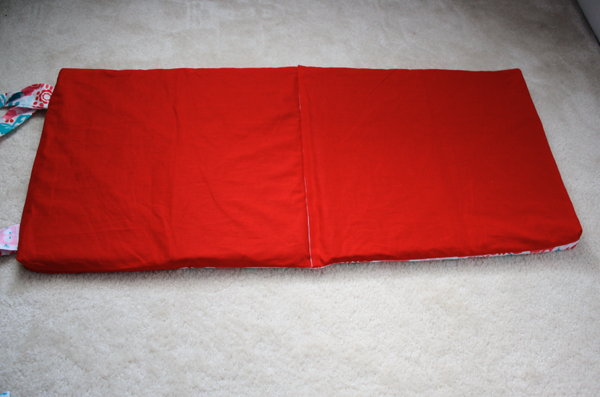 Then fold the fabric in half and iron all the way around. 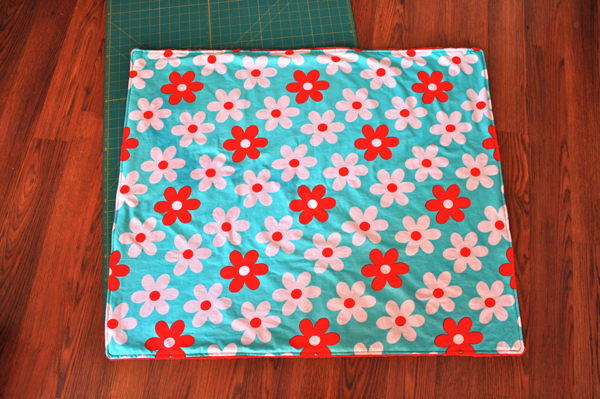 Then take the minky, and put your 24.5″ sides together, and sew down the side and one end. 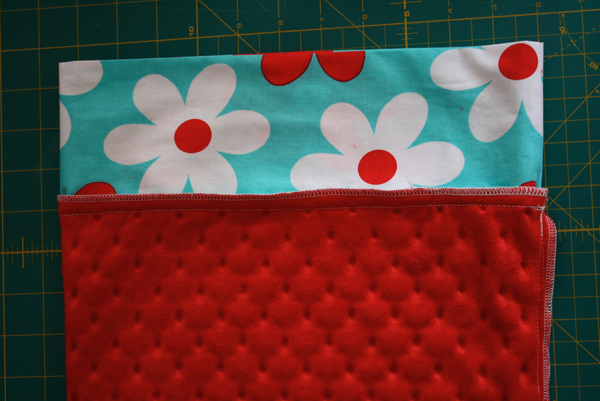 I serged the seams to keep the minky from going everywhere. It will COVER your house while you’re working with it, just a warning! 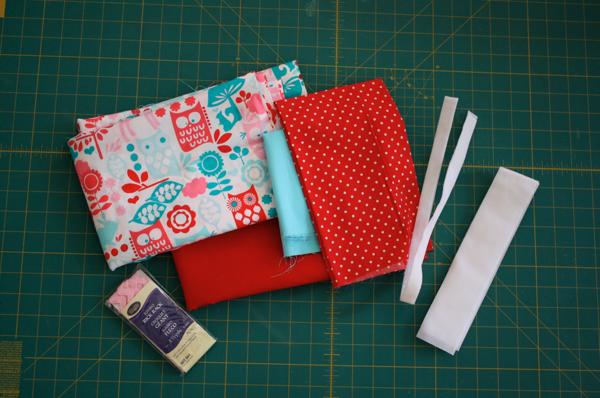 Take your cotton and with right sides together, line it up with the open end of the minky case and sew all the way around with a 1/4″ seam allowance. Again, I serged my edges. 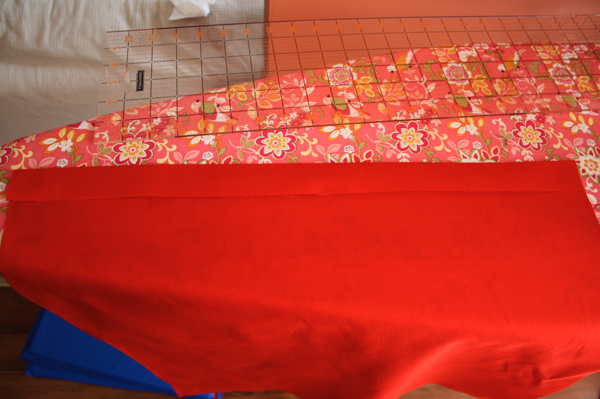 I also topstitched the serged seam down, but it’s not necessary. 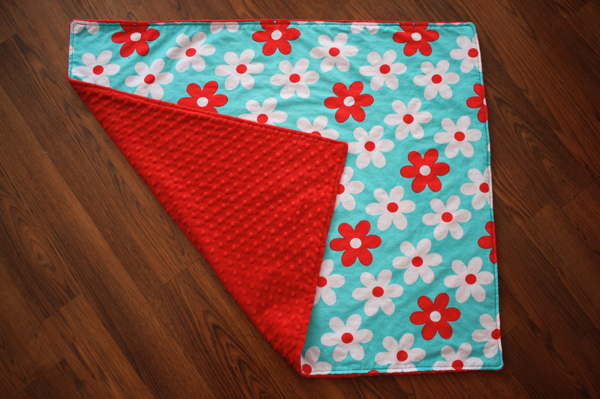 To make the blanket, I cut a piece of minky 30″ by 36″ and my coordinating cotton to the same size. Place them on a flat surface (carpet is best) with right sides together and pin all the way around. 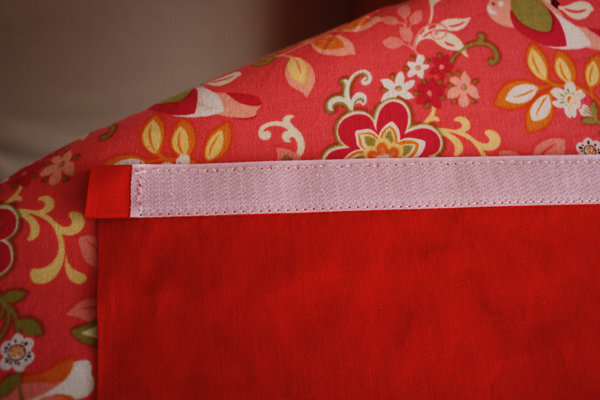 Sew around all 4 sides, leaving a small hole to turn it through, then push out your corners, line up the seams, and top stitch around the perimeter to secure it, and close up your hole. I don’t iron dot minky, so to get the wrinkles out, I spray the blanket down with water and toss it in the dryer for a few minutes. 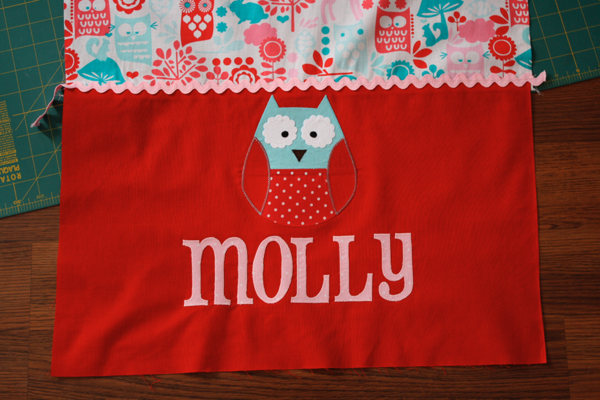 The first thing I did was my applique. 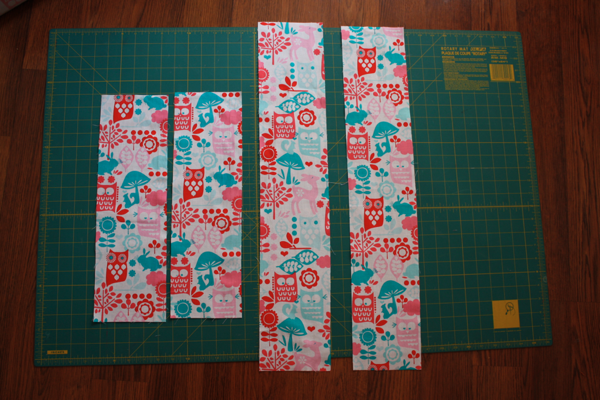 I cut the contrast piece 13″ by 21″. 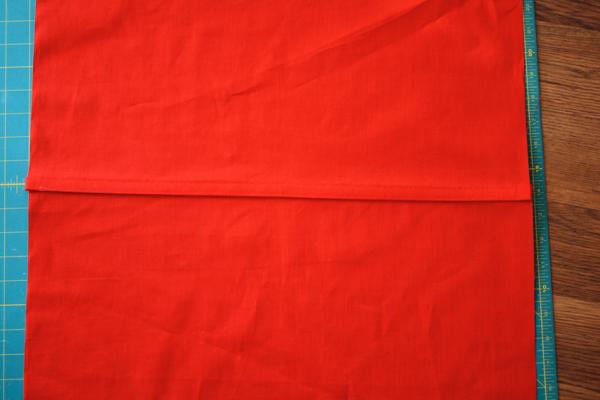 The coordinating fabric for the top is 33″ by 21″. 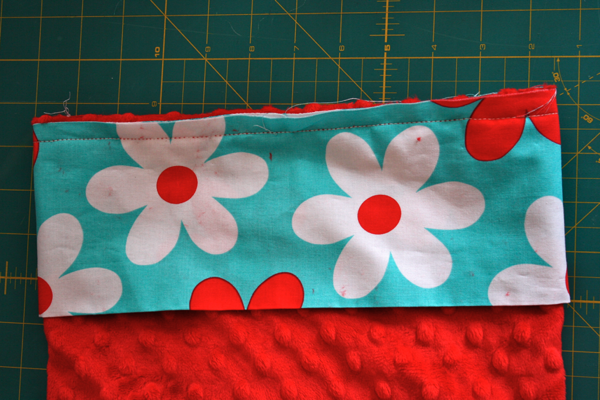 I laid right sides together and sewed them at a 1/2″ seam allowance. 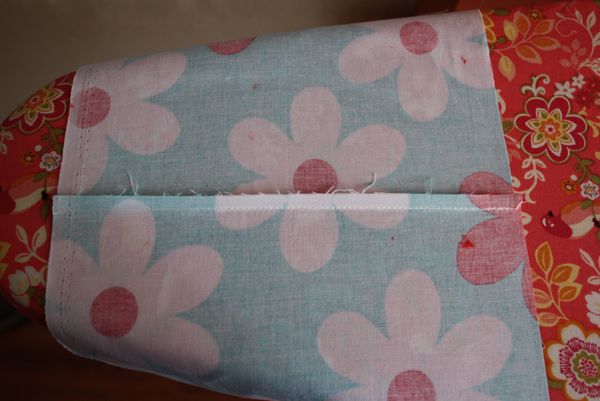 The jumbo rick rack went right over the seam and I straight stitched it down the middle. 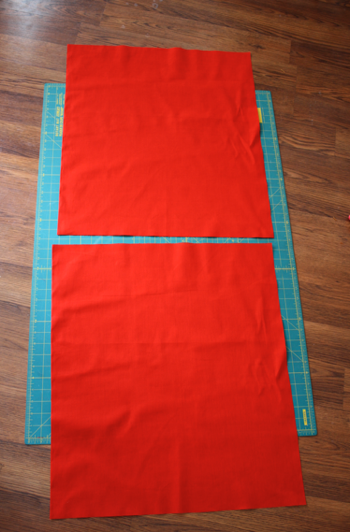 Cut the 2 back pieces 23.75″ by 21″. The velcro goes across one 21″ end on each piece. 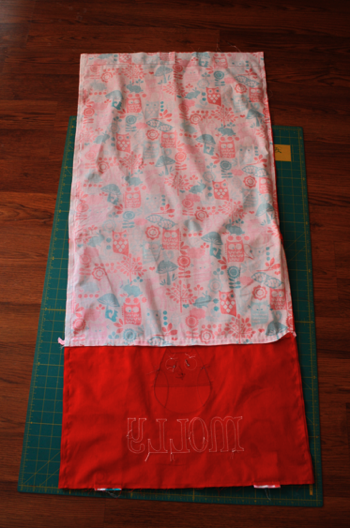 So fold it over 1.5″ and iron. Then open it up and place the raw edge along the pressed line and iron again. 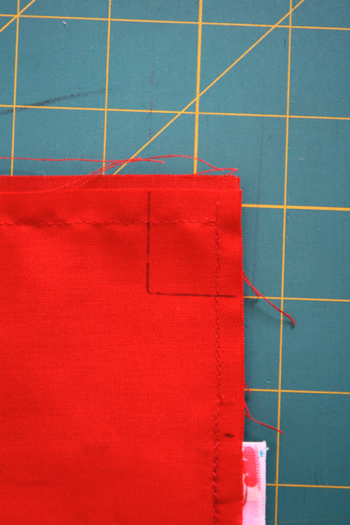 Sew the 5/8″ velcro down 1/2″ from each end. Velcro the 2 sides together and choose which side you want to be the outside. The last part to make is the straps. 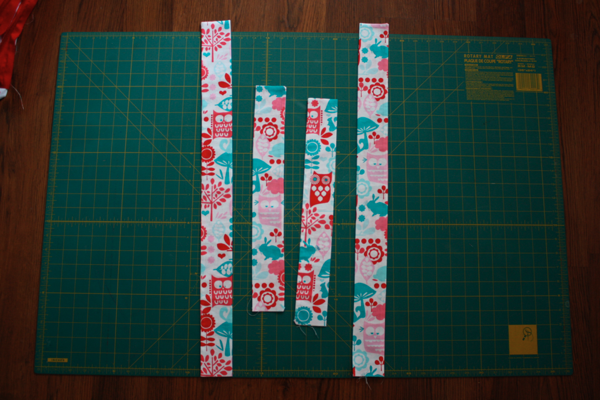 Cut 2 pieces 26″ by 5″ and 2 pieces 16.5″ by 5″. 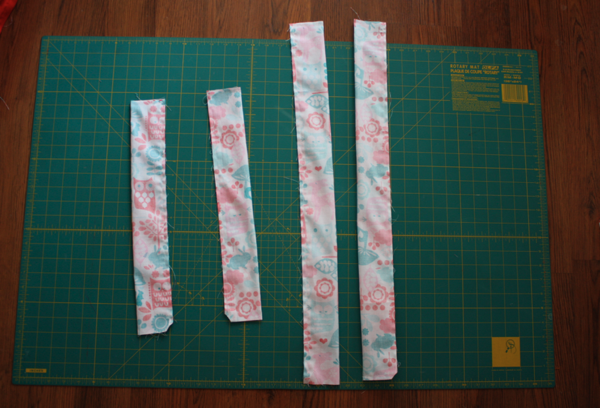 Fold them in half with right sides together, and sew down the side and across one end. Turn right side out, press out the corners, and iron flat. 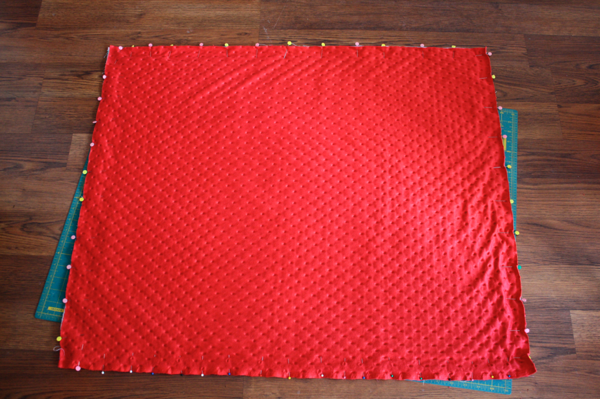 Take the top of the cover and the back of the cover and lay them out right sides together. 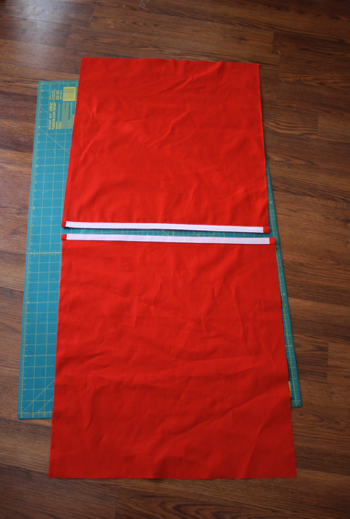 Place one long and one short strap between them on each side of the bottom seam. 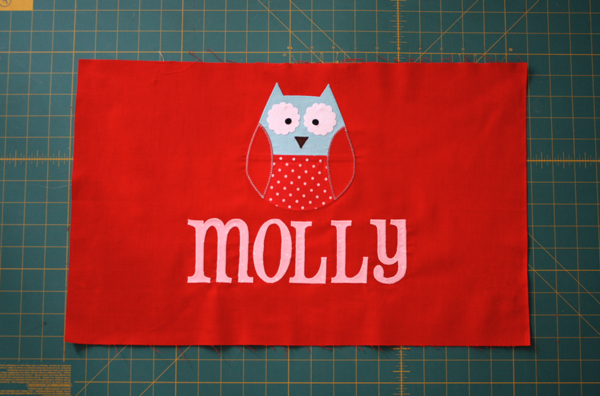 You can make them as close together or far apart as you like, but I chose 1/2″ from the edge of my applique on each side. 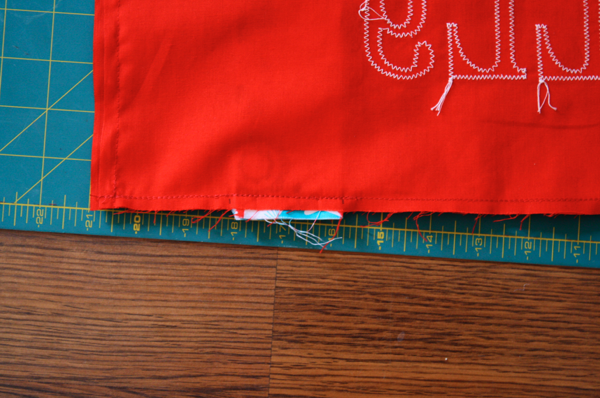 Sew around the entire perimeter with a 1/2″ seam allowance. 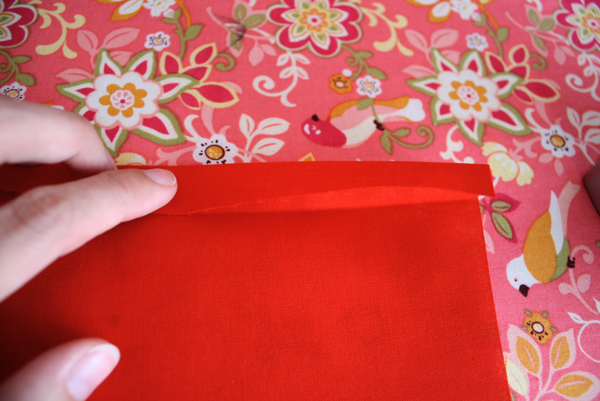 You can either leave it flat, or you can mark 1/2″ from each seam in each corner and make box corners. 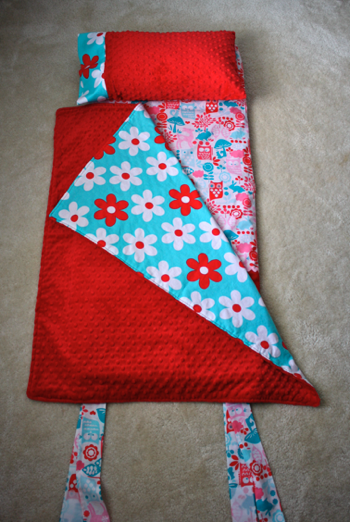 Place your mat in the cover, fold the blanket and grab your pillow and stack them all up. Pull your straps up and determine where you want your velcro and mark it with pins. Sew on the velcro. I got excited about the finished project and forgot to take a picture of that step! But that’s it! 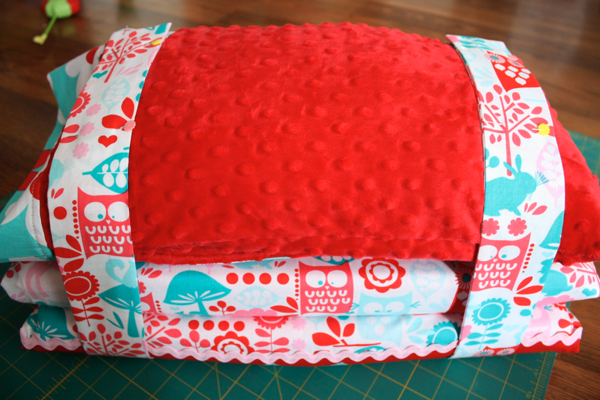 You’ve got a nap mat cover (or duvet if you want to get fancy! 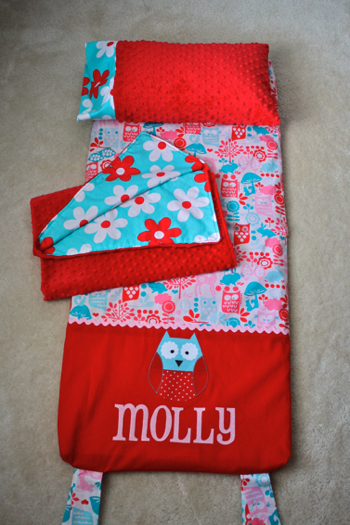 ), and a coordinating blanket and pillow that all strap together for cuteness and convenience. Sweet dreams! I am having a problem trying to download your instructions. Are they not on pdf? I can’t even print them either. 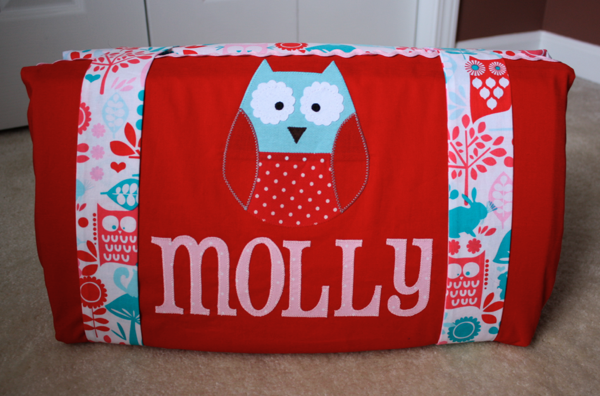 I need to make a nap mat cover for my grandson for daycare in the Fall. 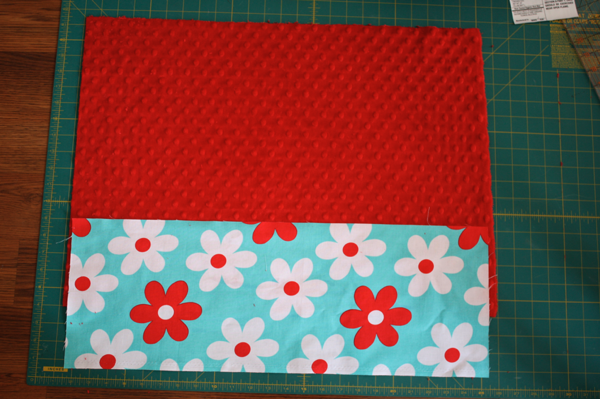 I love your fabrics that you picked and the instructions are easy to follow. Just too much to try to write it all down. What do I need to do to get it to print? Have made one but all to ready to make another. Great tutorial, easy to follow. Thank you so much for the great tutorial. 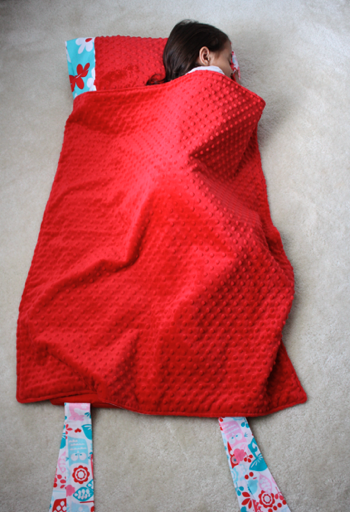 A friend in my quilt guild showed her granddaughter’s nap mat at our last meeting. 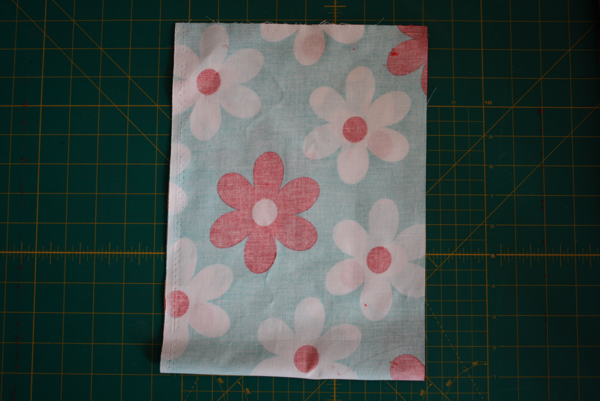 I found you tutorial and am in the process of making one for my great-great niece in Hello Kitty fabric. It is turning out so darn cute. Love your site and will be visiting often. I love that younger people are getting into sewing. 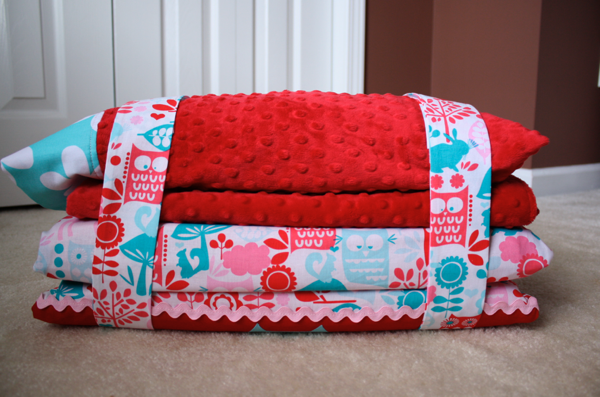 I fell in love with sewing when I was young and quilting when I became a senior. It’s so great to see young women like you carrying on the tradition! right now i only have cell phone pictures so not the greatest. but my son is going to love this when he wakes up in the morning! all ready for school next week! thank for the inspiration! I love this mat cover. 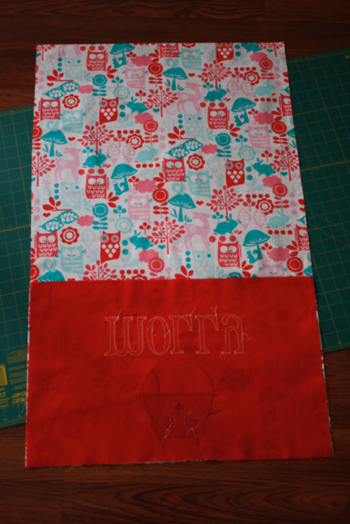 I am making one for a 2″ thick x 24W x 48L mat. I will have to change the measurements to fit. Some 2″ mats are wider and longer than yours so, adjustments do have to be made. This is adorable and I can’t wait to finish mine. I would love to know what measurements I would need for the 2″ thick 24wx48L mat. If you or Sandy France could help me with that! Thank you so much! Thank you! Excited to give it a shot! I would love to make one of these but we don’t have anything like those mats in Ireland (love your blog by the way) what can I use instead. Thick wadding or batting you might call it ?